6 months. Yes, 6 MONTHS, of no blogging. Sigh. I can't believe it's been that long, but it feels good to be sitting here in my new home office, working on my blog for the first time in 6 months. On October 11th, 2018, my family took a giant leap of faith, moved house, and relocated to a new community - Victoria, BC. While my husband grew up here and knows the place inside and out, I had only ever come as a visitor. Moving here was a big decision we didn't take lightly. It was hardest on me, leaving behind all my friends and losing the proximity to my family. But it was the right move, for so many reasons, and it feels like home now. My daughter has her own room, I have a home office, we have space. We're close to other members of our family, including my daughter's grandparents. And we live in an amazing community designed for families. We outgrew our old home, and it was time to move on. The last picture I took in my old home with my daughter - staying out of the way while the boys moved the furniture. Our move here coincided with the end to my maternity leave. 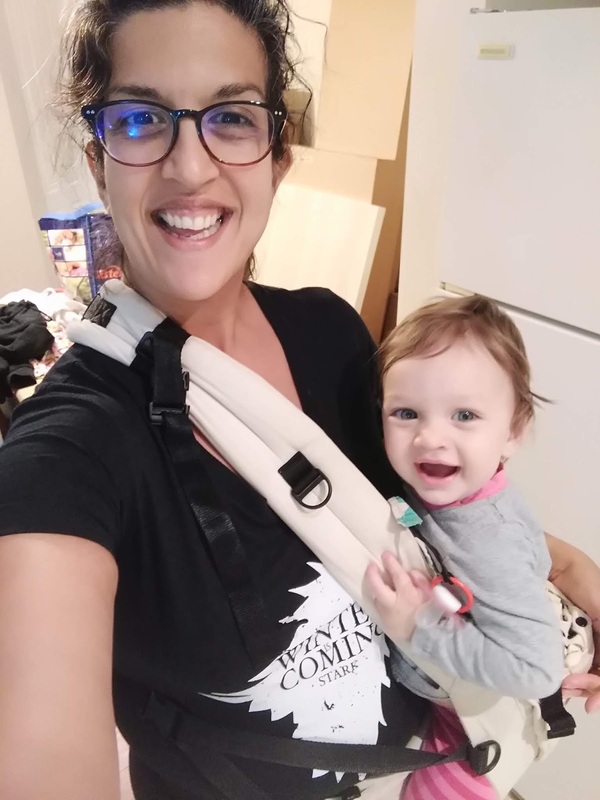 I found a new job in the non-profit sector that allows me to work from home full-time while I look after my daughter. I had to learn how to go back to work while also being a stay at home mom. It has meant learning how to juggle, how to set boundaries on my time and energy, how to make time for me, and how to cope with very long and full days. My days are filled with play time, outings, and all the demands of parenthood, with the demands and expectations of a career mixed in, with all kinds of work needing to be done at high quality during what would otherwise be my down time. I think this is why finding time to blog hasn't happened. I was shocked when I realized that we were coming up on 6 months. It's gone by so fast! I am loving our life and having a little one to explore this new community with. One of the joys of working from home though, is setting my own schedule. I plan it around my husband's schedule so we can take turns on parenting. And of course we have help from his mom too when I have to do meetings outside of home. But when it's "all me", I still choose mommy time over work time 98% of the time, knowing I can wait until she's sleeping or until her dad gets home before I get to my work. So we explore a lot, but we also get out for regular workouts together. We've been all over the place with the running stroller. And now that I'm getting my bearings here and have an idea of where I want to explore, there'll be much more of that exploration coming up. 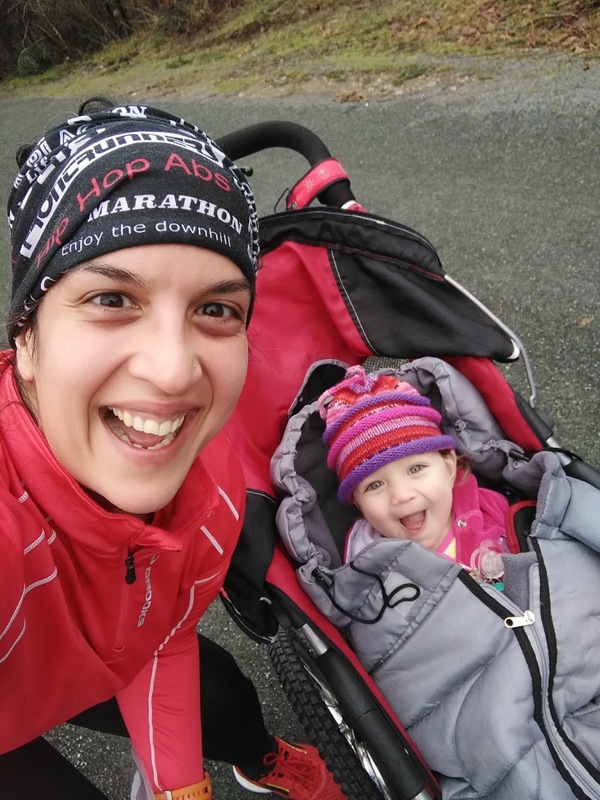 One of my favourite stroller run selfies. We have so much fun together! In the 6 months since moving here, I've also done a few races. Nope, not going to recap them all, or even consider doing race reports (oh no! ), but hopefully I can attempt to start race reports for my upcoming races beyond today. (1) Bear Mountain 10K - Sunday Nov 18th, 2018. Boy was that hilly but BEAUTIFUL! Had to stop to take in this panoramic view of Victoria! (2) Run Through Time 5K - Monday, December 31st, 2018 (New Year's Eve). This was a fun evening run at UVic that I ran with my sister-in-law and also my daughter in her stroller. Rehydrating after our run together. (3) Harriers Pioneer 8K - Sunday, January 13th 2019. 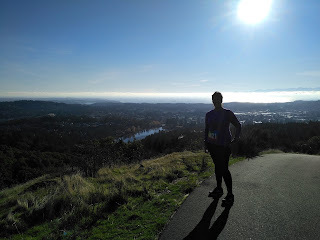 This was a beautiful run in North Saanich on a beautiful and surprisingly warm day. I ran this one also with my sister-in-law. Pushing hard to finish strong and wearing too much clothing! 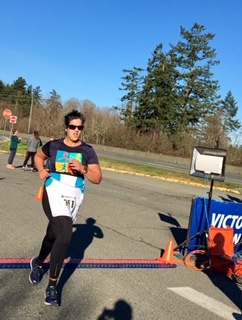 (4) Hatley Castle 8K - Sunday, Feb 24th 2019. In front of Hatley Castle before the race started looking all cute! (5) Esquimalt 5K - Saturday, April 6th 2019. Yes, that was today. 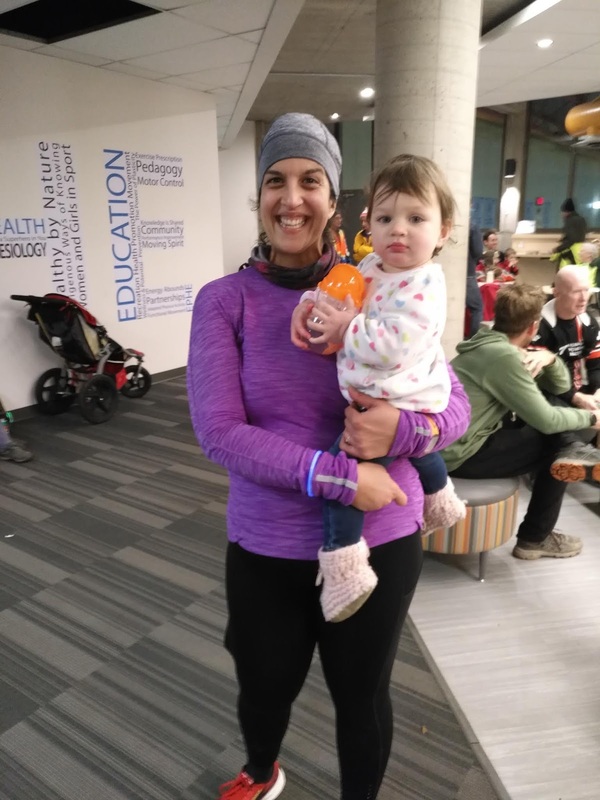 I ran this one with my neighbour who's become a very close friend to me, and her kids are great playmates for my daughter. And she's a runner too! 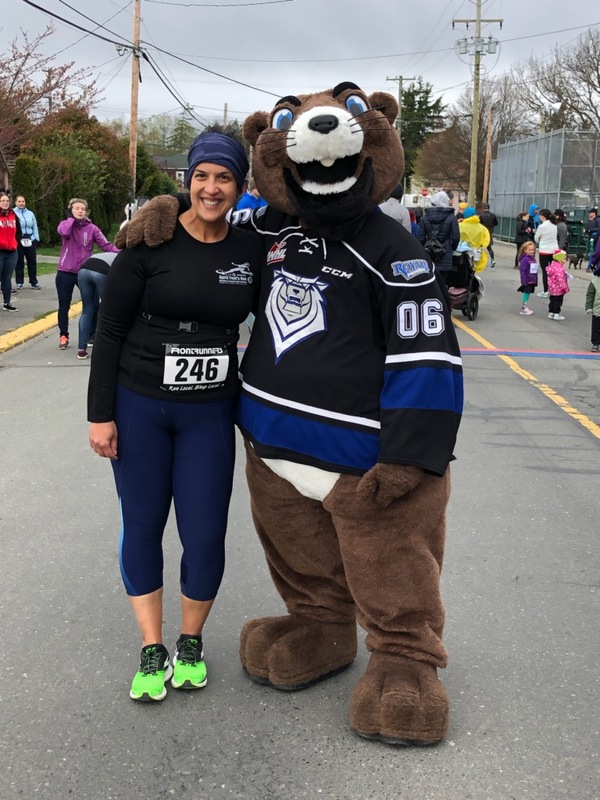 Posing silly at the start line with the mascot for the Victoria Royals hockey team. So, not bad - 5 races so far in the last 6 months. I have a few more planned coming up, including the large Times Colonist 10K event at the end of the month. Then next month, in May, I run my first half marathon since before I became a mom, or my first since 2016. This will be at the Oak Bay Half Marathon. I've alluded to this already in this post, but I've been running a lot with my sister-in-law. We've always loved running together, but now we live in the same city. Well, kind of. We're about 20 min drive from one another, which is a lot better than when we lived in different parts of the province. So we run just about every weekend together for our long runs and I'm loving it. We've explored so much of Greater Victoria together on foot as a result, as we take turns planning routes. We're also training for the half marathon together, and it's LOVELY to have company on those long runs, especially because they are hard when your body is no longer used to them. Having someone to do those workouts with is much more fun and much more motivating. So there you have it! Going forward I hope to be able to write race reports, at the very least. That's my goal anyway.